these guys can bust universes by the way and so can many of the others I listed.I will come up with more later this is off the top of my head.i would like for people to chime in with more names of beings that can bust galaxies and i am not a big dc guy so I left them out but you can add beings from any comic book company you want,I know myxy is an easy dc choice thanks to anyone that wants to post. I know Michael Demiurgod,Lucifer morningstar,Spectre,Anti-Monitor,the endless and some others within comics could easily destroy galaxies or universes. could mephisto bust a galaxy? 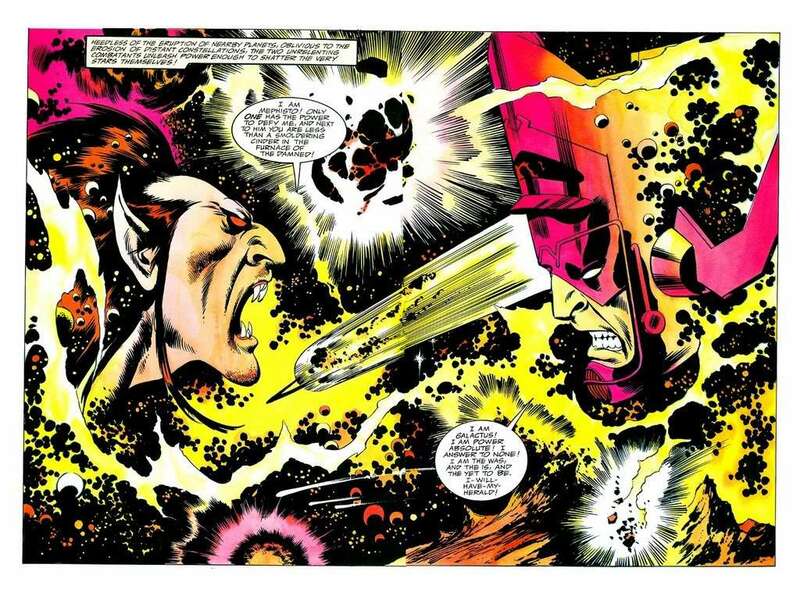 his power seems infinite in his realm,but worlock has stated it is but a phacet of his own dark mind.In the real world thanos didn`t seem that impressed with him.Galactus was read to consume his own realm and warlock beat him there with the soul gem.Seems like his power is rather restricted. you got me there Mr.B,I even have the graphic novel but forgot all about it,don`t get old like me. Galactus was a savage and still is.